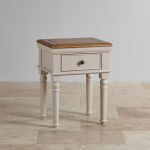 This stunning lamp table showcases the signature design details of our Shay collection, while being a beautiful addition to your living room, bedroom, or guest room too. 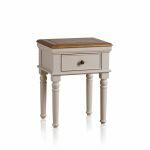 Designed as a lamp table, this small piece is great for providing additional storage and surfaces in your home. 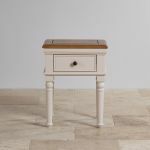 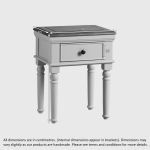 Made from solid hardwood, the base is painted a smooth shade of almond grey, while the top contrasts in rustic solid oak. 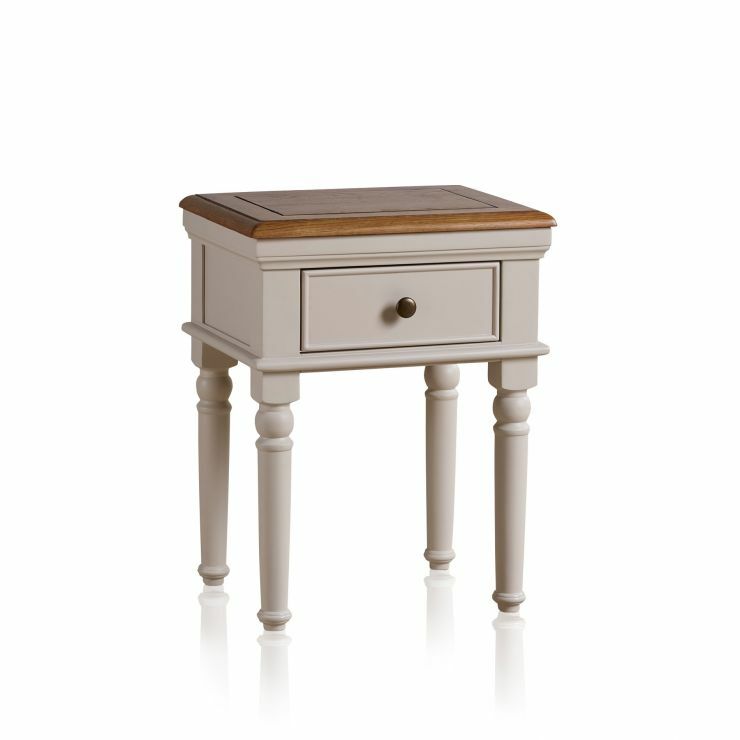 The long legs are delicately turned for additional impact, and the top features cut detailing to complete the styling. 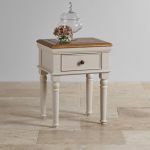 Match it with our Shay coffee table.